Classy Group performer Eminent has left Martyn Meade's Manton base to continue his career in Australia, where he is expected to be campaigned at the Melbourne spring carnival. The move was a surprise to Meade, who retired the son of Frankel after a disappointing four-year-old campaign blighted by heart issues. Eminent, who cost what proved to be a bargain 125,000gns as a yearling, enjoyed his best spell as a three-year-old in 2017, when he finished fourth in the Derby before landing the Group 2 Prix Guillaume d'Ornano at Deauville. The colt, owned by New Zealander Sir Peter Vela, then posted a career-best effort when finishing a close third behind Decorated Knight and Poet's Word in the Group 1 Irish Champion Stakes at Leopardstown. Expectations were high for Eminent in 2018, but he finished last of five at odds-on for his reappearance in the Group 2 Huxley Stakes at Chester in May. He was subsequently found to have a fibrillating heart and failed to recapture his best form. 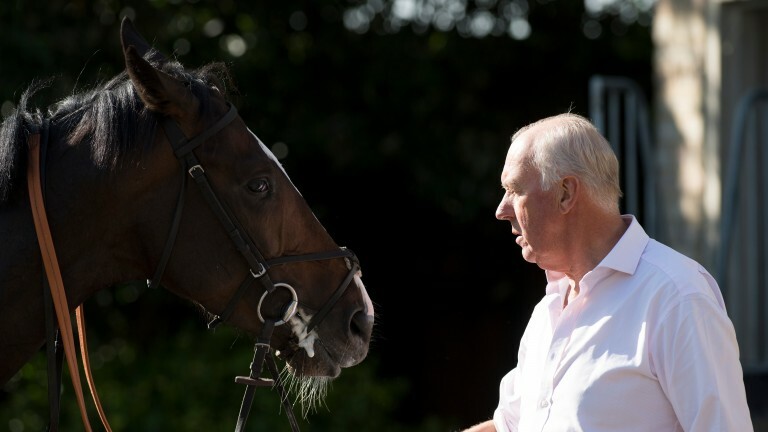 Meade said: "I thought I'd retired Eminent after he'd run at Goodwood in August as his heart was not really in it, but the owners wanted to take him to Australia so he's left." The former Newmarket-based trainer added: "I think the plan was to race him again out there at the spring carnival, although I don't even know which trainer he's gone to. If he recaptures his best form he would be competitive."